« Did early claimed Christians believe in the immortality of the soul? “(The) threat posed by North Korea has grown to the unprecedented, critical and imminent level. Therefore, we have to take calibrated and different responses to meet with that level of threat,” he said, speaking through a translator, at the start of talks in the Philippines. South Korea’s Song also acknowledged that “North Korea’s provocative behavior is becoming worse and worse,” in public remarks before reporters were escorted out of the meeting room. BARKSDALE AIR FORCE BASE, La. 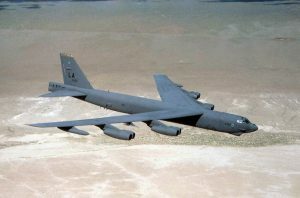 — The U.S. Air Force is preparing to put nuclear-armed bombers back on 24-hour ready alert, a status not seen since the Cold War ended in 1991. North Korea is causing troubles and rumors of war. We are hearing of wars and rumors of war. Donald Trump, Warmongering, and the Red Horse of War Various Europeans believe that Donald Trump has been ‘warmongering’ related to North Korea, Iran, Saudi Arabia, Afghanistan, and elsewhere. They believe that Europe must lead and the US President learn from Europe. Jesus spoke of a time called the “beginning of sorrows” that included wars and rumors of war, are we in the time of sorrows now? Could the red horse of the apocalypse be about to ride? Did the old WCG teach this was a future event in 1985? Does this ride start before or after the start of the “great tribulation”? What does the Bible show? Is Satan involved in this? What about Armageddon? How will all of this end? Dr. Thiel addresses these issues and more. This entry was posted on Monday, October 23rd, 2017 at 6:30 am	and is filed under Prophecy.